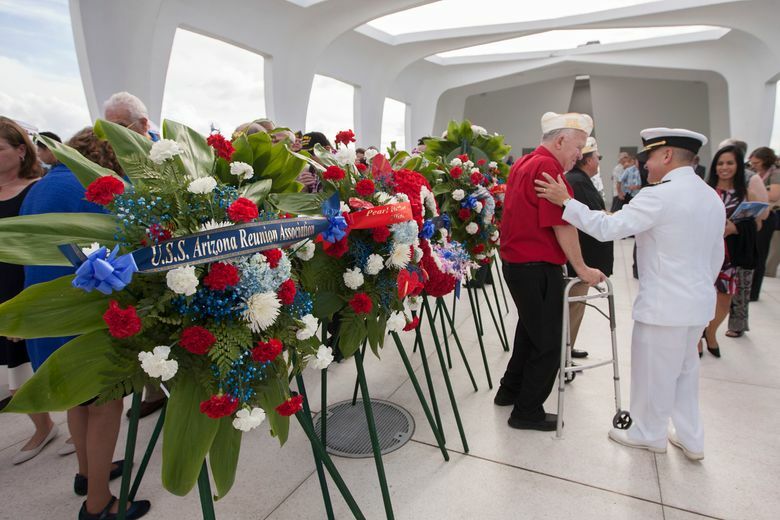 Thousands of people gathered at Pearl Harbor on Wednesday, Dec. 7, for a ceremony marking the 75th anniversary of the attack that plunged the United States into World War II and left more than 2,300 service people dead. 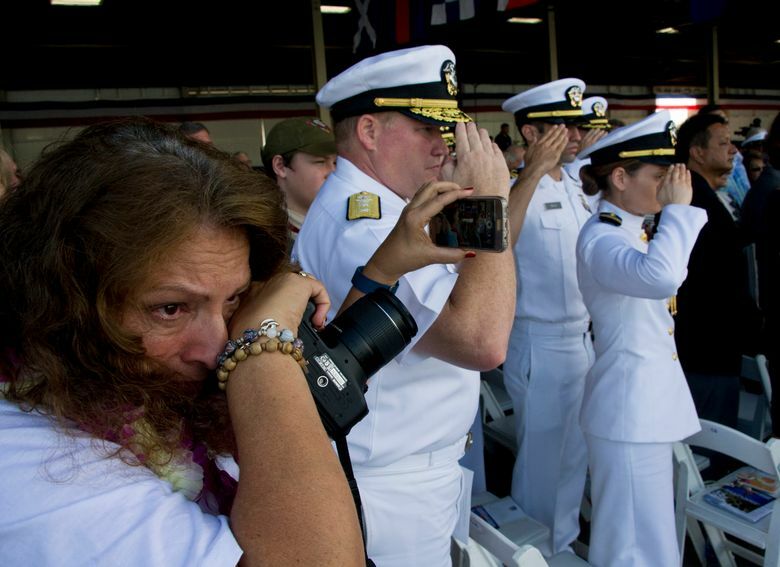 PEARL HARBOR, Hawaii (AP) — Thousands of people observed a moment of silence before fighter jets streaked across the sky during a ceremony Wednesday at Pearl Harbor marking the 75th anniversary of the attack that plunged the United States into World War II and left more than 2,300 service people dead. 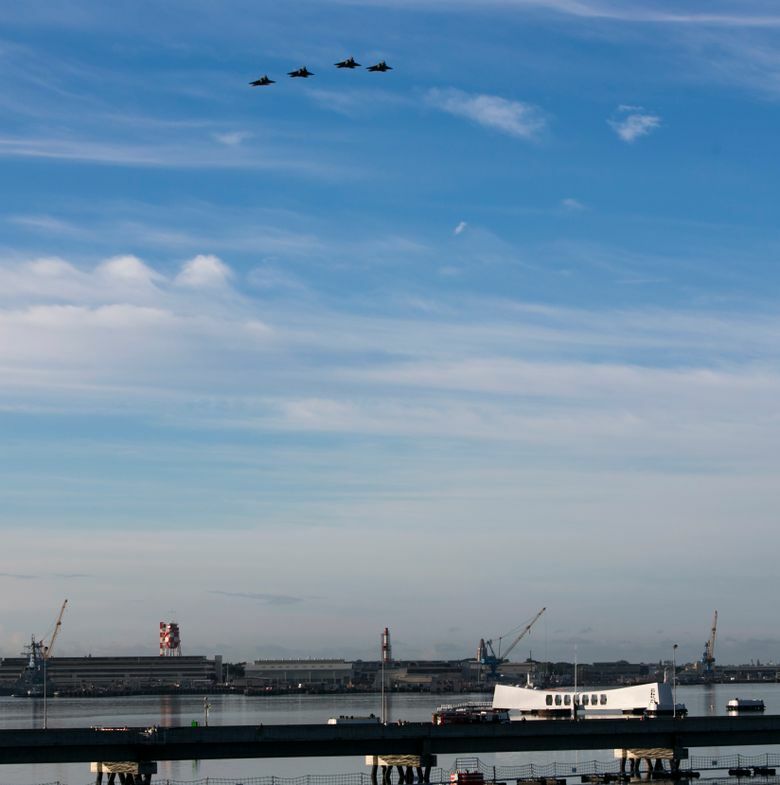 The crowd bowed their heads at the precise moment decades ago when Japanese planes began their assault on the harbor’s U.S. naval base. And they stood and clapped when survivors joined active-duty servicemen and women and National Park Service rangers in dedicating wreaths to those killed. 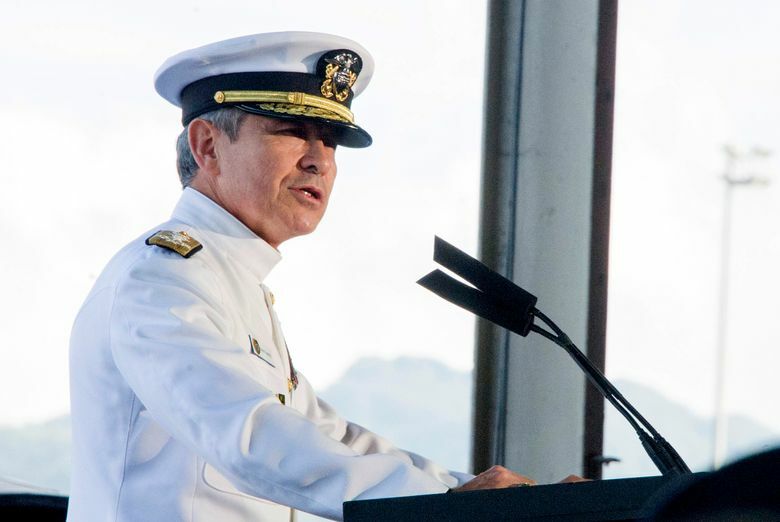 Attendees also gave a lengthy ovation to Adm. Harry Harris of the U.S. Pacific Command when he spoke in favor of standing for the national anthem. The anniversary is a tribute to “what freedom does when it is faced with fascism,” said Paul Hilliard, incoming chairman of the board of the National World War II Museum in New Orleans. 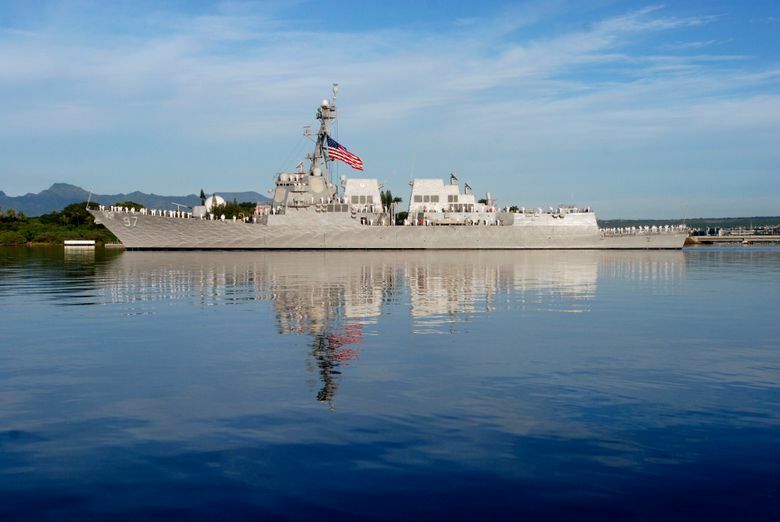 The ceremony started with the USS Halsey sounding its whistle to mark the start of the moment of silence at 7:55 a.m. F-22 fighter jets then flew in formation overhead. 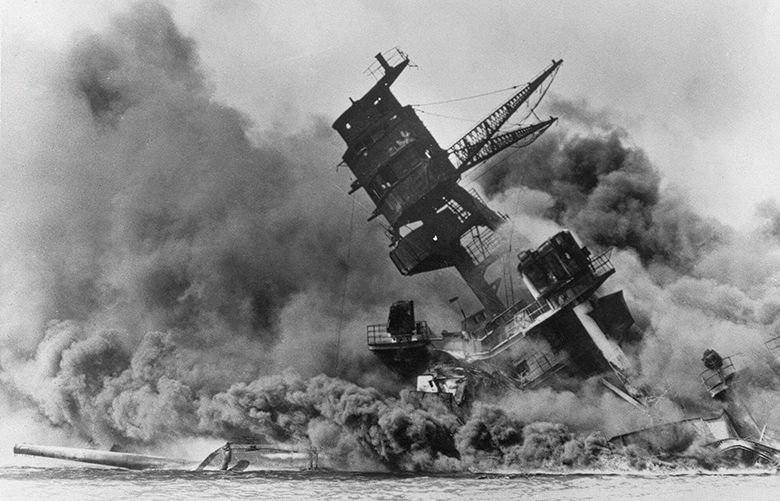 Harris told the crowd the servicemen attacked at Pearl Harbor “engaged the enemy as best they could,” and there is sorrow for those who died. 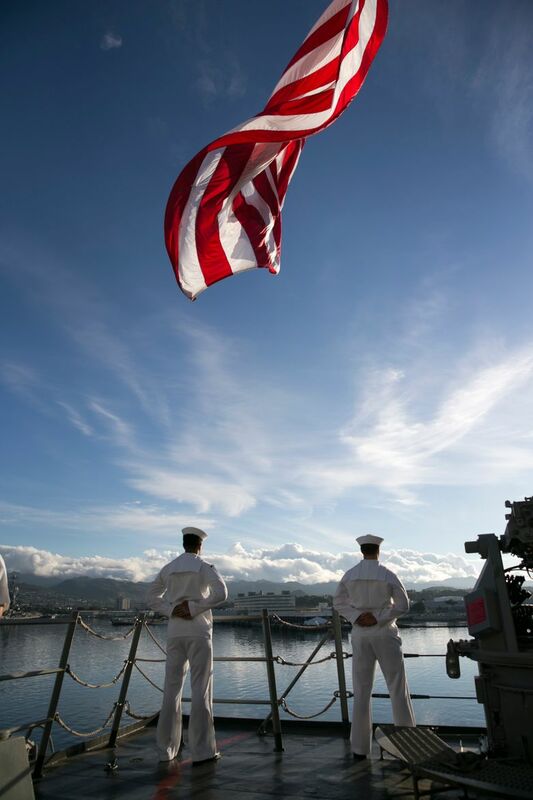 “Yet we are also inspired by their great gift to the world — the gift of freedom itself,” he said. Harris also said: “You can bet that the men and women we honor today” never failed to stand for the national anthem. The crowd erupted in cheers. San Francisco 49ers quarterback Colin Kaepernick and others have knelt through the anthem in recent months to protest police brutality and the treatment of minorities, drawing criticism and acclaim. 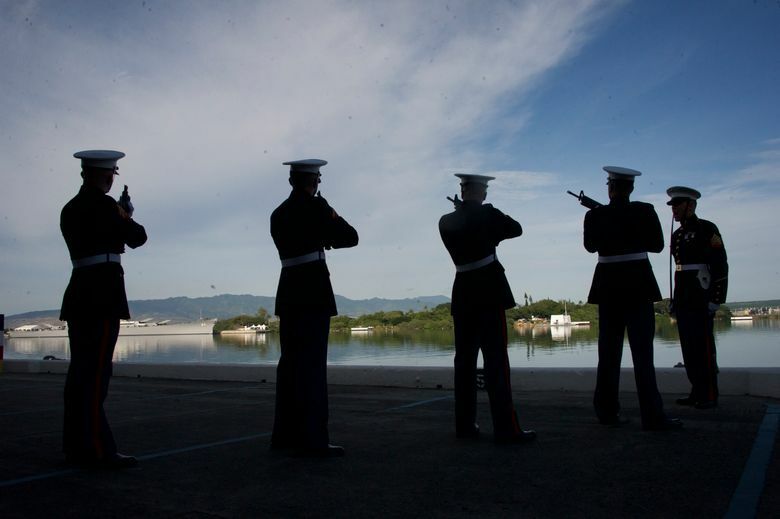 The ceremony wrapped up with Marines firing a gun salute and the Pacific Fleet band playing taps. 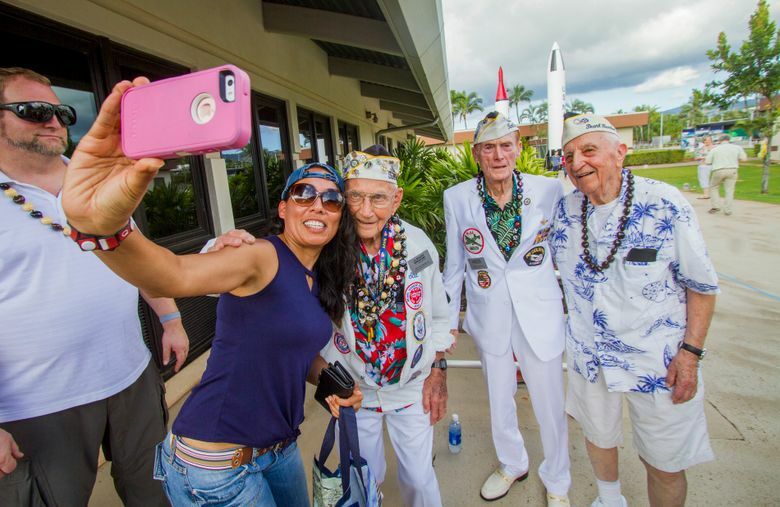 Laura Stoller accompanied her adoptive grandfather and Pearl Harbor survivor Stan VanHoose of Beloit, Wisconsin, to the event. 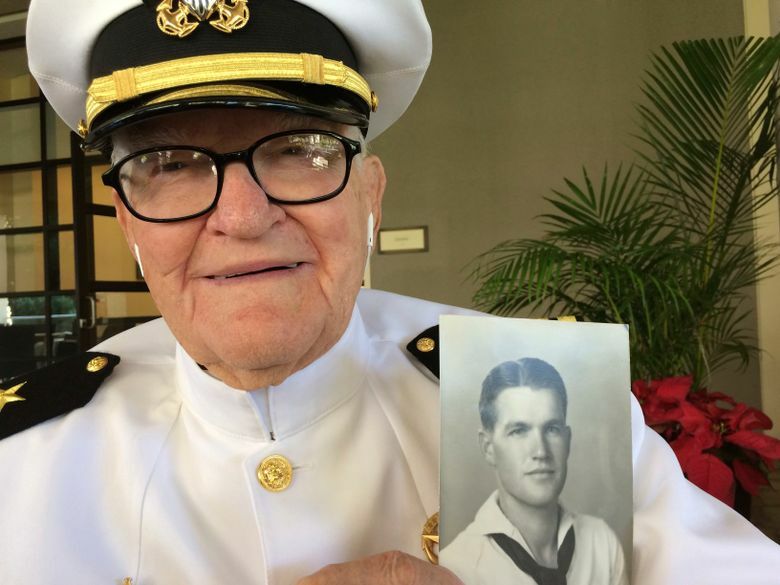 VanHoose, 96, served on the USS Maryland. Stoller was pleased to see people jostling for autographs and photos with survivors. “All of these men who for so long didn’t get the recognition they deserve — they’re soaking it up. And it’s so fun to see,” she said. 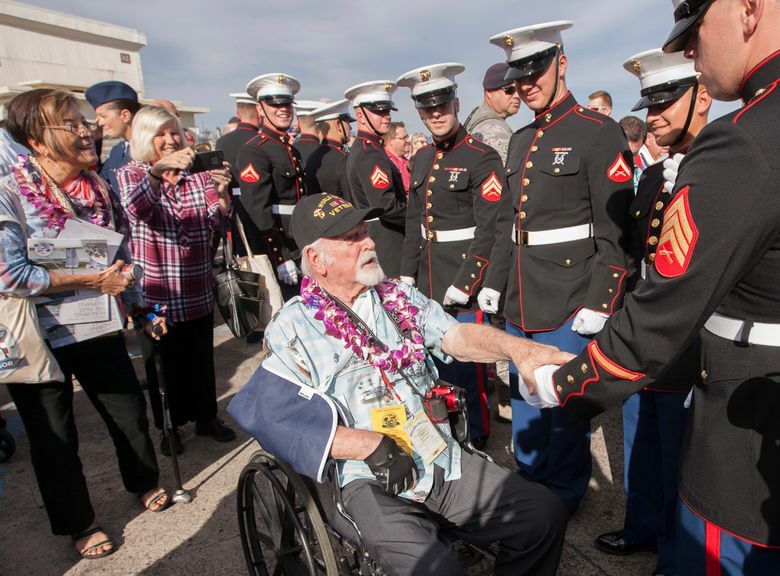 Survivor Jim Downing of Colorado Springs, Colorado, said he returns to Hawaii for the anniversary commemorations to be with his shipmates. “We get together and have a great time and compare our stories,” he said. 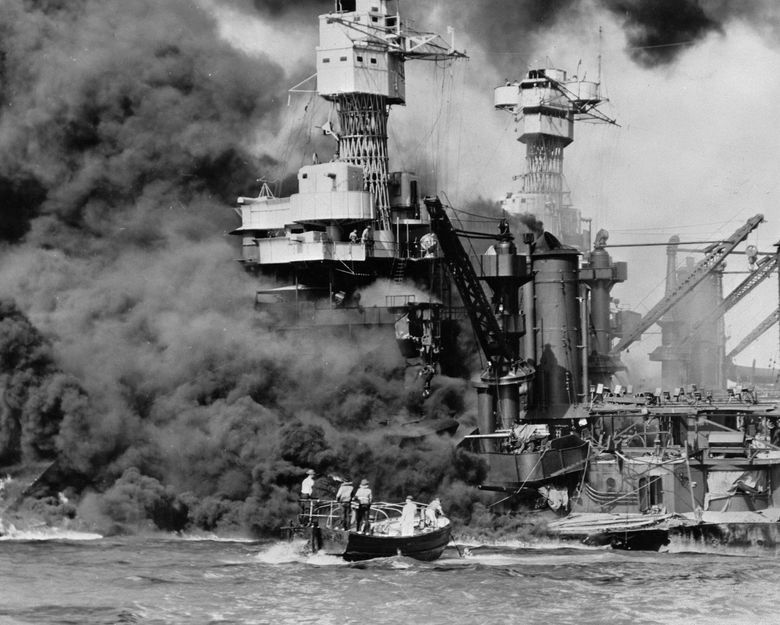 Downing said fear, anger and pride overcame him as Japanese planes bombed Pearl Harbor. 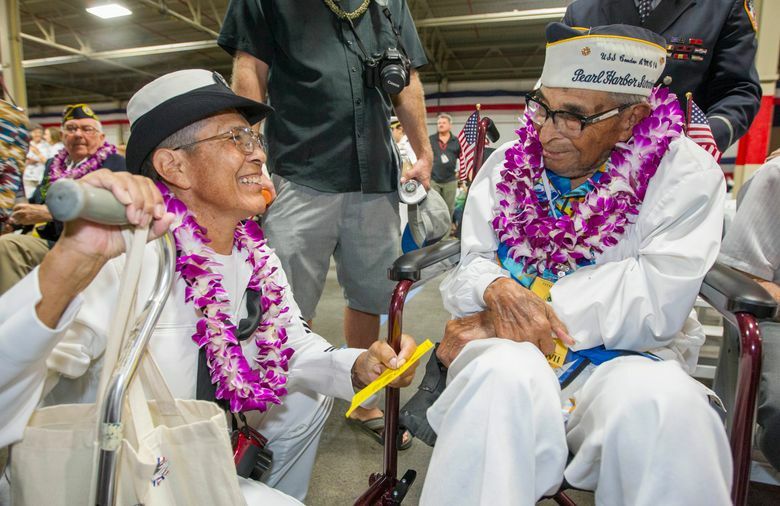 Then a newlywed sailor, he recalled a Japanese plane flying low in his direction as he rushed to his battleship from his home after learning of the attack. “We were sinking, and everything above the water line was on fire,” he said. The West Virginia lost 106 men. Downing, who also served as the ship’s postmaster, spent two hours fighting fires and checking the name tags of the dead so he could write their families personal notes about how they died. 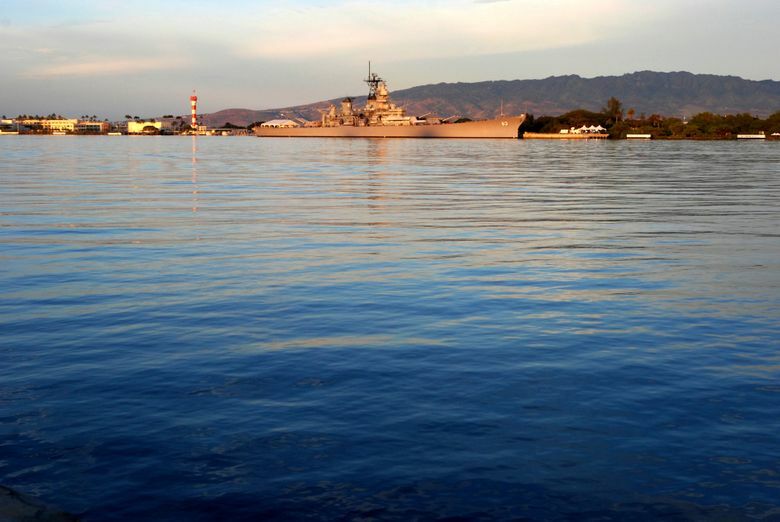 Pearl Harbor events took place across the country Wednesday. 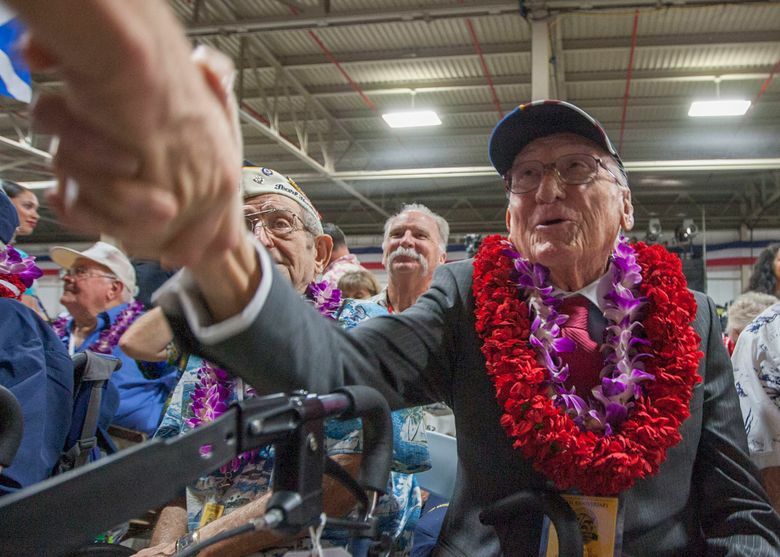 In Texas, hundreds of well-wishers applauded World War II veterans George H.W. Bush and Bob Dole during a patriotic ceremony. A tattered U.S. flag that flew at Pearl Harbor was on display at an Ohio museum, and dozens of WWII veterans in the Cincinnati region recounted their experiences for high school students gathered at the Sharonville Convention Center. 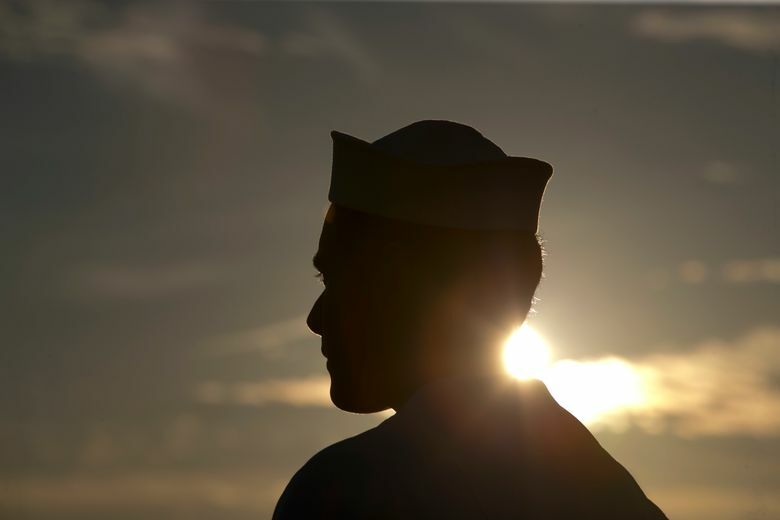 President Barack Obama issued a statement saying he and first lady Michelle Obama join Americans in remembering those who gave their lives on Dec. 7, 1941. 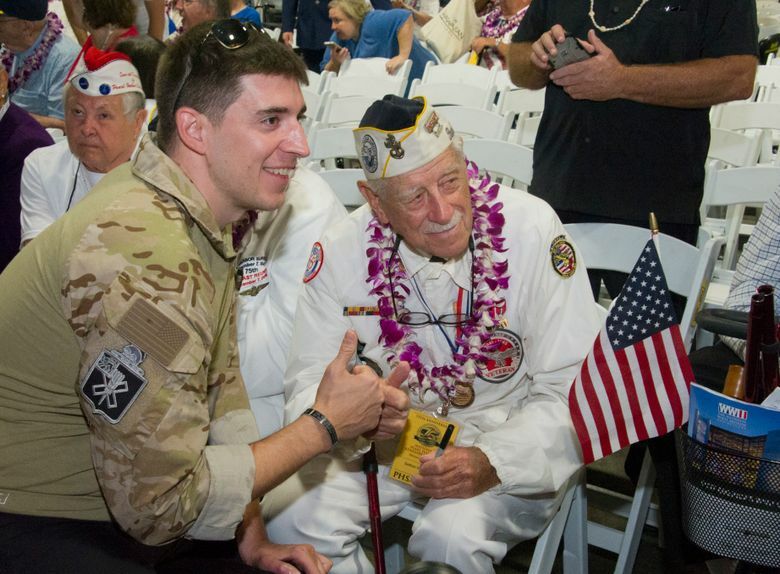 “We can never repay the profound debt of gratitude we owe to those who served on our behalf,” he said. Jennifer Sinco Kelleher in Honolulu, Diana Heidgerd in Dallas, Dan Sewell in Cincinnati and John Minchillo in Sharonville, Ohio, contributed to this report.